Founded in 1900, this family brewery has made a name for itself selling Gueuze beers. 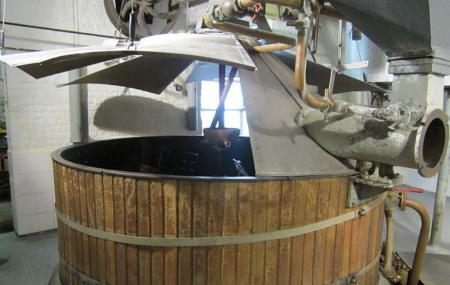 Other famous beers produced here include kriek, lambic, faro, framboise, Iris. Unlike microbreweries you'd usually find in other countries, this one doesn't feel flashy. It feels old and atmospheric, with old copper tubs and spider-webs. You'll get to check out barrel cleansing, fruit beer making, brewing and bottling. Naturally, there's a tasting at the end, though school groups may need their teacher's permission. What makes it even more precious is that this is the only brewery in Brussels actively offering tours to visitors. Also, visit the popular attractions in the city by following Brussels itinerary 2 days. Guided group tours on request, two weeks in advance. Max 35 people. Languages French, Dutch, English, German. Closed on Public Holidays. Check museum website for updated closing day list. How popular is Cantillon Brewery? People normally club together Musee Rene Magritte and Atomium And Mini Europe while planning their visit to Cantillon Brewery.